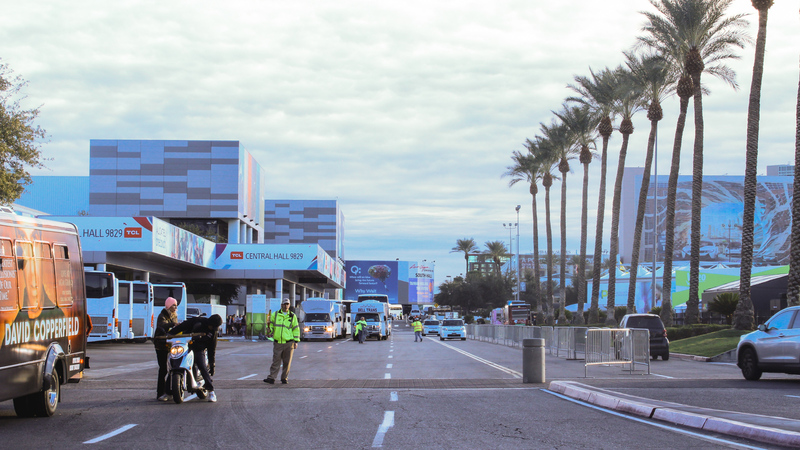 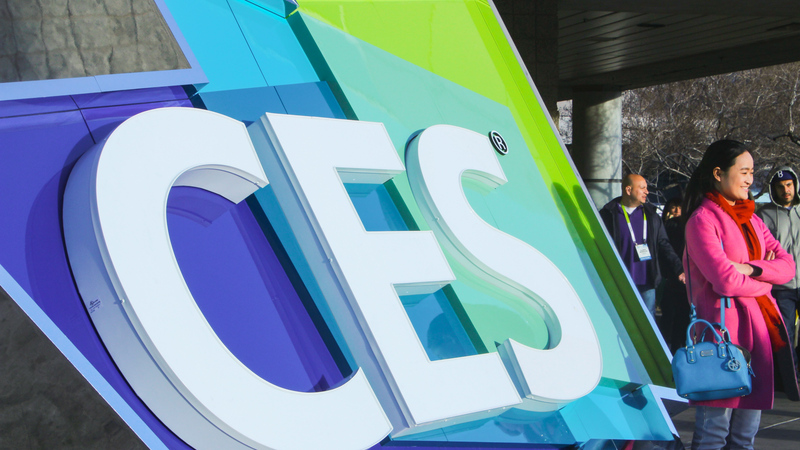 One of the biggest areas of interest at the annual Consumer Electronics Show (CES) in Las Vegas, Nevada was 360, with several big name companies announcing new products. 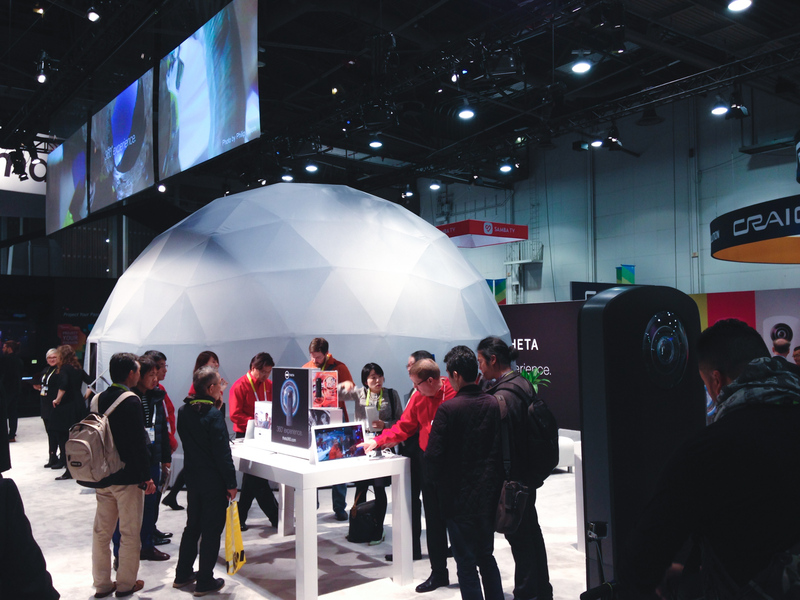 Ricoh showed the Theta S, the first truly 360° spherical camera that captures the entirety of a scene in a high-resolution photo or video, in a sleek, pocket-sized design. 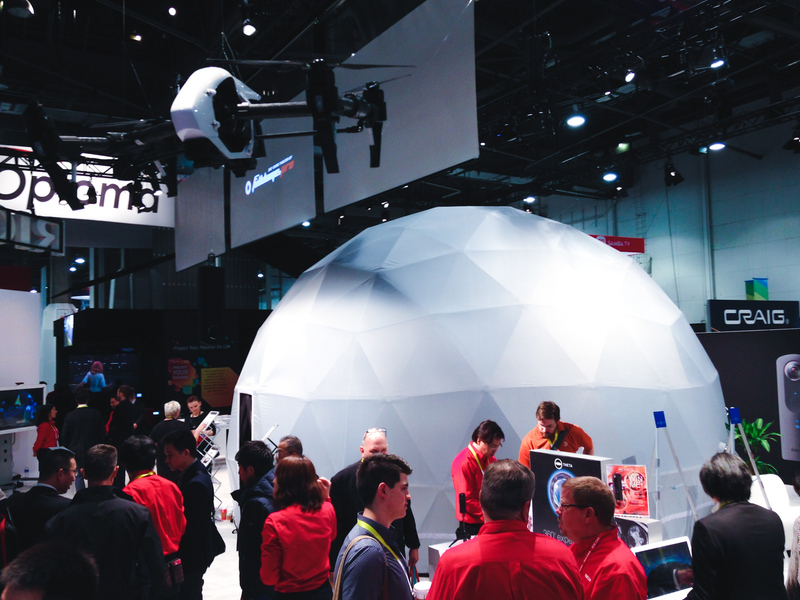 And what better way to showcase a revolutionary 360° camera, than in a revolutionary fulldome theater supplied by Fulldome.pro. 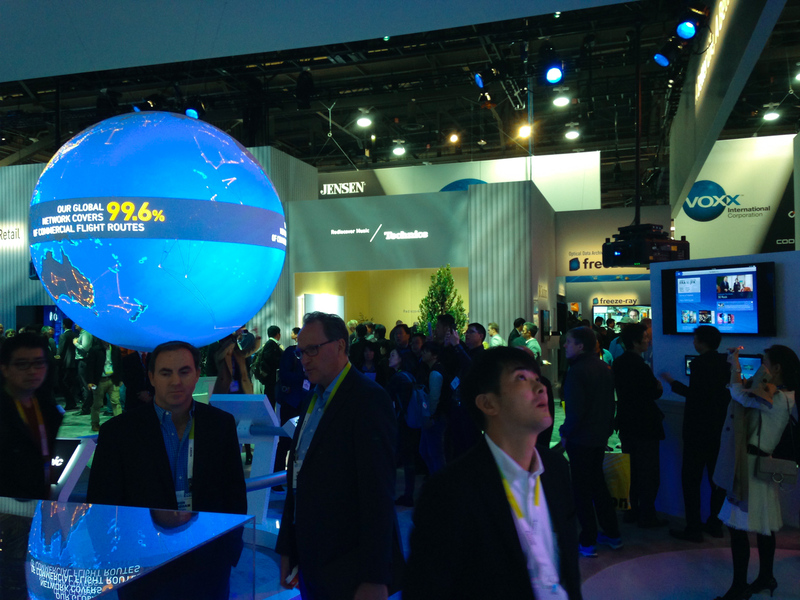 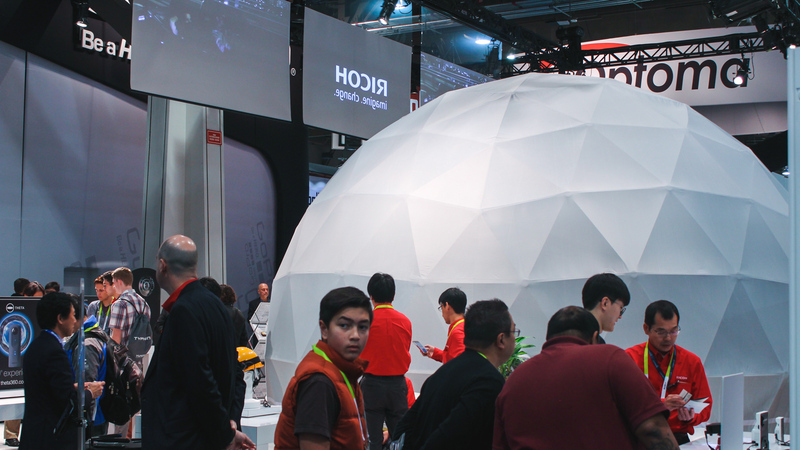 The 7 meter/23 foot dome we installed at CES for Ricoh generated almost as much interest as the Theta S camera it was demonstrating with several other exhibitors wishing they had thought of using a dome to create an immersive group experience instead of using personal devices to show 360° content. 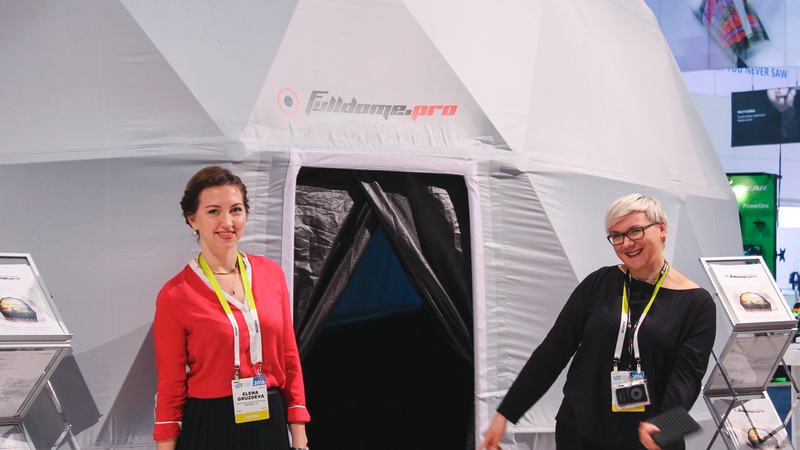 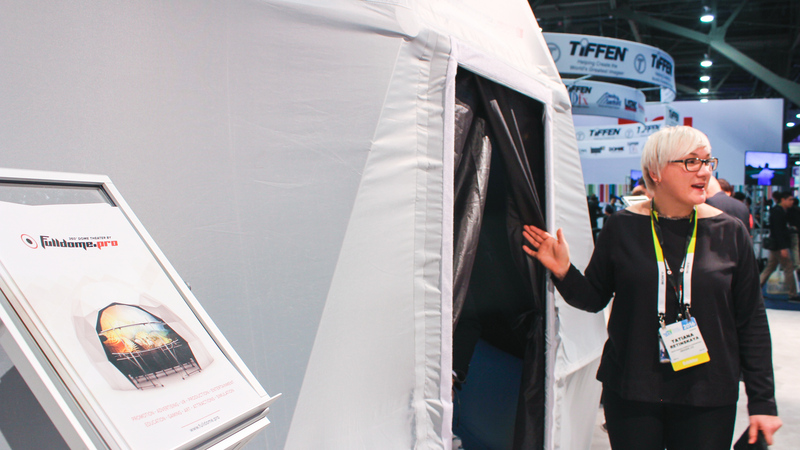 Mobile domes and the innovative, automatic projection calibration system from Fulldome.pro make setting up a fulldome theater fast and easy, meaning short-term installations for trade shows, exhibitions and festivals are now practical and cost effective. 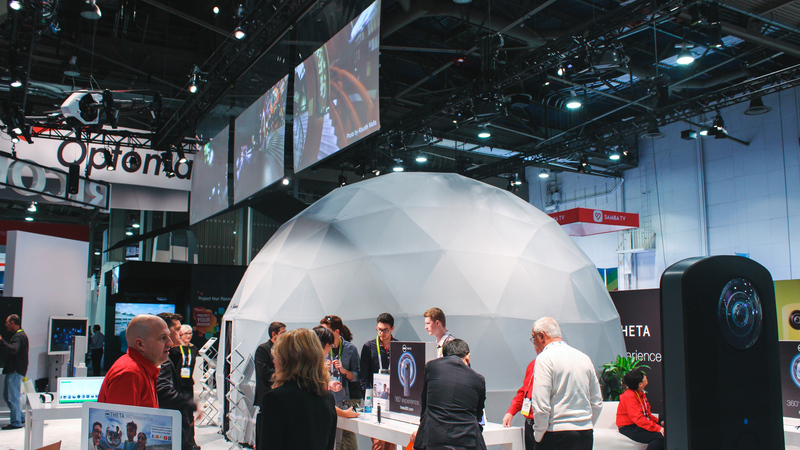 The Ricoh Theta S captures high-resolution spherical images of nearly 14 mega-pixels and records HD video at 30fps, with a maximum recording time of 25 minutes. 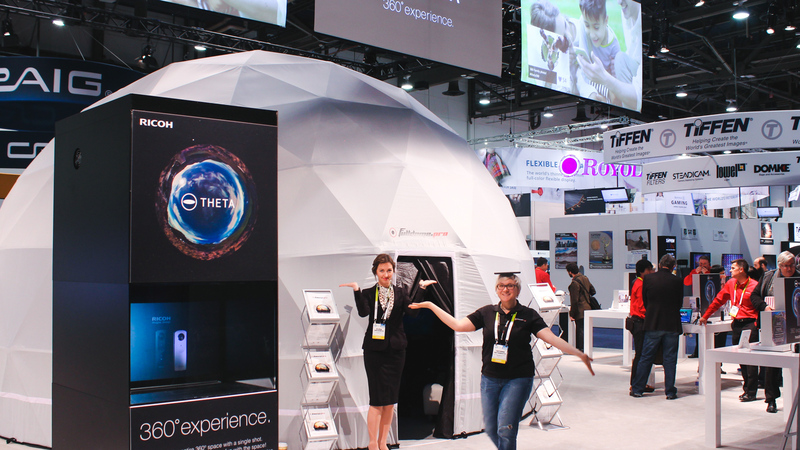 Its high quality spherical images can be uploaded to theta360.com, shared via Facebook, Twitter and Tumblr, and posted to Google Maps, Google+ and YouTube’s 360° Channel. 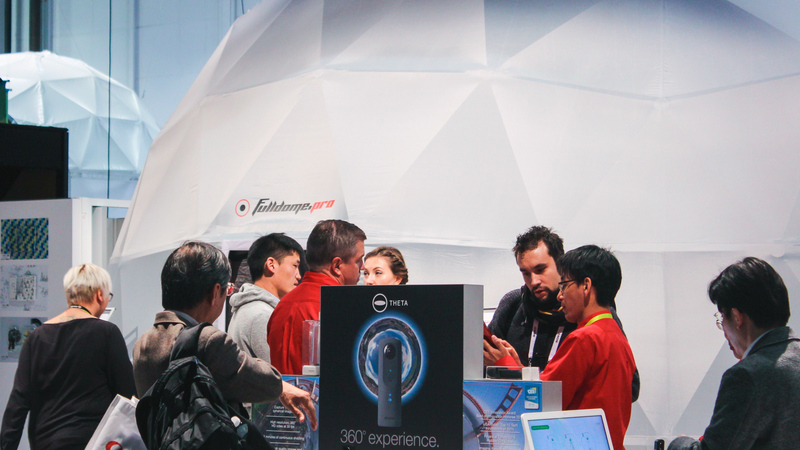 To find out more about the Ricoh Theta S check out theta360.com or look for ricoh.theta on Facebook.